We all know the feeling. It’s called turkey gut. Turkey gut is that bloated feeling you get after eating a large Thanksgiving meal. You feel gassy, you feel sleepy, and you feel bloated. For some, it goes away. For others it doesn’t. Sometimes turkey gut, aka bloating, is makes you look and feel and look like a stuffed bird. Fortunately, there is something you can do about it. Antacids and body wraps aren’t the answer. You know bloated stomach when it occurs. A bloated stomach happens when the abdomen is extended and puffy. It’s not your “normal.”  A bloated stomach is when you have the feeling of too much gas in your belly. Your stomach is uncomfortably full and pushed out. A bloated stomach can make your pants fit a little tighter and your shirt. The good news is that the pregnant and gassy feeling isn’t permanent. Look down at your stomach; there is the first symptom. A distended stomach is the first sign of bloated stomach. A bloated stomach has both visible and internal symptoms from which you might be suffering. Should you be worried about your bloated stomach? Yes and no. It really depends on a few factors. Having a bloated stomach is relatively harmless, but there are times when you should worry. If you have a bloated stomach that is accompanied by the following symptoms, contact your doctor. Nothing you read here should replace your doctor’s advice. You must also contact your doctor if you experience a sudden reaction immediately after eating. Immediate reactions that may indicate an allergy or intolerance to food. Seek emergency medical treatment if you experience hives, shortness of breath, uncontrolled vomiting or diarrhea, chest pain, weird taste in your mouth, or trouble swallowing. This post is not meant to diagnose or contradict your doctor’s advice. Only a physician can make a diagnosis and provide you with treatment for health conditions not related to having a bloated stomach. If you eat a food that does not agree with you, you may have an intolerance, sensitivity, or allergy. According to Food Allergy Research and Education, about 15 million people worldwide suffer from food allergies. Intolerance to gluten or dairy, as well as Celiac disease may cause bloating as well, but the symptoms between intolerance and allergy are slightly different. Onset of symptoms plays a large role in discerning between an allergy and intolerance. Diverticulitis is the inflammation or infection of pouches in the wall of the intestine. Diets low in fiber can cause stool to remain in the colon. This can cause pressure in the colon. The pressure in the bowel can cause small perforations or tears in the intestine. There are a couple different hernias of which you should be aware. A hernia in the abdomen occurs when an organ pushes its way through a walls of a weak area of muscle or tissue. Types of hernias are inguinal hernias that occur when an intestine pushes through and hiatal hernias that occur when the stomach pushes through the diaphragm. A number of infections can occur in the gut. E.coli infection, H. pylori infection, and bacterial gastroenteritis are a few of the most common. Infections can cause inflammation in the stomach. Keep an eye out for signs of an infections such as fever and swollen lymph nodes. Constipation occurs when the bowels cannot pass stool. Certain medications, illnesses, IBS, and a slow moving colon can cause stool to become impacted and difficult to pass. Stool becomes hard and dry. As the stool builds in the colon, your stomach can become bloated and distended. If you are constipated for more than 24 hours, seek medical attention. Certain foods you eat can cause you to have a bloated stomach. Your diet can cause a number of serious issues, discomforts, and bowel problems. If you suffer from a bloated stomach, you know which foods give you gas and discomfort. These are just a few causes of bloated stomach. Discuss your symptoms with your doc. Think about your daily diet. A bad diet can cause a bloated stomach, but so can good foods. In fact, many people refuse to eat salads, cabbage, and onions because of the gassy side effects. As you can see, even the healthy foods can cause belly bloating. If you experience any bloating after eating a meal, keep track of your symptoms and the frequency. Before you cut out a gassy food from your diet, try a different approach so you don’t have to give up foods you love and the nutrition they provide. There is a difference between temporary bloating and belly flat. One takes a lot longer to get rid of. A lot of foods that cause belly bloat are not the ones the cause belly fat. Belly fat is caused by high-carb diets, sugary foods, and limited to no physical activity. 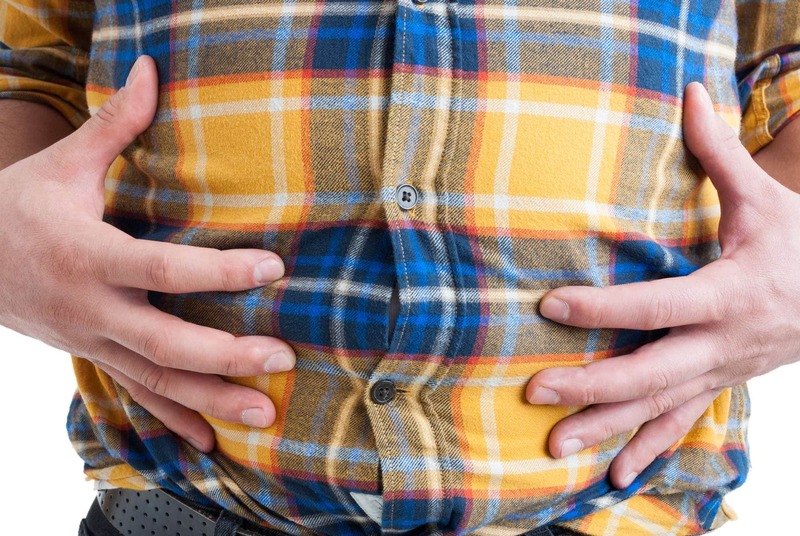 Belly bloat is usually caused by an illness, infection, and even healthy foods. Sometimes eating the wrong foods does cause bloating, but again, it’s temporary. So, which one do you suffer from? You don’t wake up one day with sudden belly fat. Belly fat accumulates overtime. Belly fat is visceral fat, which means it is fat that is stored in the abdomen. The fat surrounds important organs such as the pancreas, liver, and intestines. A bloated stomach is not fat storage. Belly fat is. If you have visceral fat, you are putting yourself and your health at risk for illness and disease. If you are an apple shape, you have visceral fat. Learn how to calculate your body fat percentage. Everyone has a solution for getting rid of a bloated stomach. Some recommendations are good, while others are based solely on anecdotal information and blogs. Most of the people whom bloated belly and belly fat ads target are women, especially women who sell multi-level marketing products. Whom and what can you trust? Take a look at how you can get rid of bloated stomach, as well as the myths about it too. You know the tag lines and ads. They are on the posts your friends share online, as well as on the magazine covers in the line at the grocery store. Finally, when you go home for the day, you think you have escaped the ads, but then you see the ads on your favorite cable television show. Here are some of the worst bloated belly myths. Count how many you hear or see today. A bloated stomach does not come from water weight because your body doesn’t store fluids in your abdomen. Instead, if you were experiencing “water weight,” you’d see swelling in your lower limbs. Edema in your feet and ankles is where you’d see the bulge, not in your gut. In fact, the latter is true. Yes, a sudden spike in fiber in your diet can cause discomfort and diarrhea, but you need fiber to control bloating. Slowly introduce fiber into your diet if you aren’t used to eating a diet rich in fiber and whole grains. As you read before, sugar-free foods can actually cause belly bloat. The reason is sugar-free foods are made with a sugar alcohol. Artificially sugared foods and drinks ferment in the intestine. As they ferment, they release a gas that causes bloating. Regardless of what your friend on Facebook says about body wraps for belly bloat, there is no proof that they actually work. Some posts claim the wraps reduce bloating by ridding your body of “harmful toxins” in your digestive tract and fat cells. Others claim that you might experience belly bloat after a wrap for the same reasons. Which one is it? One site claims that wraps “remove junk that have caused fat cells to swell.” There are two problems with both claims: bloating is not caused by fat cells because it’s not fat, and there is no evidence that any toxins or “junk” are released. Toxins are processed through your liver and your kidneys, not your fat cells. This is just another detox myth that costs consumers billions of dollars per year. If your body has toxins it cannot get rid of, you’d need medical attention, not seaweed. There are a couple myths about spicy food and your stomach. The first one is that your favorite peppers cause ulcers and the second one is that spicy foods cause your stomach to bloat. Neither is true. Spicy foods may actually do the opposite. Ulcers may help the stomach prevent and heal ulcers, according to Dr. Denise Webb. The CDC reports that NSAIDS and H. pylori cause stomach ulcers. Don’t get distracted by flat belly posts and detox blogs. There are tried and true ways that help your get rid of a bloated stomach. Here is how you can overcome belly bloat – for real! Several people avoid gluten and high-fiber foods out of fear of a bloated tummy and discomfort. Fiber is a good food to combat stomach bloating. If you eat foods high in fiber, you are less likely to become constipated. There is a tendency to assume all fiber is the same. It’s not. There are two different kinds of fiber: soluble and insoluble. Soluble fiber is fiber found in barley, oats, nuts, peas, some fruits such as apples and blueberries, vegetables, lentils, and seeds. This type of fiber attracts water to aid in controlling. Insoluble fiber is fiber that thickens stool so it can pass through the digestive tract. Insoluble fiber is found in wheat, whole grains, carrots, and tomatoes. Both soluble and insoluble fiber at good for the body. Insoluble aids in digestion and soluble may reduce glucose levels . To control bloating, add more insoluble fiber to your diet so you do not become constipated and bloated. Fluids help flush out your system and aid in digestion. The more water you drink, the better you digestive tract will be. Water also helps you avoid constipation. Exercise is nice because you it reduces belly fat and belly bloat. Yoga often gets all the acclaim, but regular exercise is just as effective. Even taking a walk when you feel bloated can help relieve symptoms. When you exercise to combat a bloated stomach, focus on cardio to help you feel relief and core training to help you keep your body healthy. Many Americans consume too much salt in their diets. Most of the salt ingested comes from pre-packaged foods, fast food, and even “healthy” foods consumed when eating out. Foods high in sodium can cause you to feel bloated, but again, remember, water retention accumulates in your limbs, not your belly. If you experience pain and bloating after every meal, make a call to your physician. Food allergies and intolerance can cause bloating, but they are not the same conditions. You need a diagnosis, not an internet search. Use a food journal to track what you eat, when you eat, and the symptoms you experience. Make an appointment with a GI doctor or an allergist to determine if you have an allergy, intolerance, or just gas pains. Slow down when you eat and drink. That means taking a couple extra minutes to chew your food and to sip from a cup instead of using a straw. Using a straw and eating too quickly forces gas-producing air into your body. As a result, you can experience bloating. Eating too quickly can also lead to larger, undigested foods in your belly. If you eat too quickly, your brain doesn’t have time to process that it is full. If you rush through a meal, you consume too much food and stuff yourself, which causes you to feel full and uncomfortable once your brain catches up. Carbonated drinks such as soda and seltzer have carbon dioxide in them to make the drinks fizzy. Carbon dioxide is a gas. When a carbonated drink is under pressure, it won’t fizz and bubble until the pressure is relieved. The bubbles in the drink are carbon dioxide gas that can cause bloating and stomach discomfort. Sugar alcohol in sugar-free foods causes bloating. Instead of ingesting too much sugar alcohol in sugar-free foods, limit the number of processed sugar-free foods you eat each day. If you still eat three large meals a day, you may experience gas and bloating after eating because of the amount of food you are consuming . Instead of eating three large meals, break it up and eat smaller meals throughout the day. You are less likely to feel full and uncomfortable. 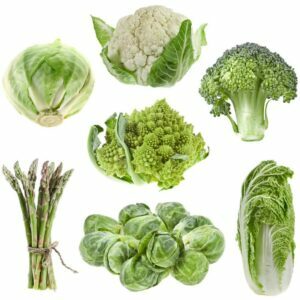 If cruciferous foods make you gassy and bloated, cook them. Many people are hesitant to cook their veggies because the veggies lose their nutrition, but consider the alternative. You don’t have to cook kale, onions, broccoli and cabbage until they are limp and tasteless, but cook them enough to cut the gas. If you suffer from a bloated stomach or belly fat, taking care of it is easy when you have the right advice and products to do so. All you need to do is make a few lifestyle changes to help you beat the bloat. If you want to cut carbs and sugar alcohol to avoid stomach bloat, try a protein supplement when you begin your new belly bloat exercise routine. Brian E. Lacy, PhD, MD,corresponding author Scott L. Gabbard, MD, and Michael D. Crowell, PhD, AGAF Gastroenterol Hepatol (N Y). 2011 Nov; 7(11): 729–739. William L. Hasler, MDcorresponding author Gastroenterol Hepatol (N Y). 2006 Sep; 2(9): 654–662. Pathophysiology and Pathogenesis of Visceral Fat Obesity. Matsuzawa Y1, Shimomura I, Nakamura T, Keno Y, Kotani K, Tokunaga K. Obes Res. 1995 Sep;3 Suppl 2:187S-194S. Anderson JW1, Baird P, Davis RH Jr, Ferreri S, Knudtson M, Koraym A, Waters V, Williams CL. Nutr Rev. 2009 Apr;67(4):188-205. doi: 10.1111/j.1753-4887.2009.00189.x.